Varistim dual EMS variable signal for facial muscle toning, tightening, shortening and lifting. Double Gold Ball – moves freely over face, forehead and eye area. Ideal for mid face lift, eye tuck, forehead lift and eyebrow lift. Lifting Single Disk that works together with single gold ball or either of these work together with a single oval on the shoulder. When working with single wands, the red wire becomes the grounding wire and is stationary either on shoulder or jawline. The black wire is mobile attached to either single gold ball or single gold disc and is freely movable over face, neck, forehead and eye area. Ideal for a deeper penetration and sculpting. FRestoring beauty, energy and health with nature and technology. Non-invasive visible results from every treatment. Consistently a major innovator within the beauty industry. What more could you want? 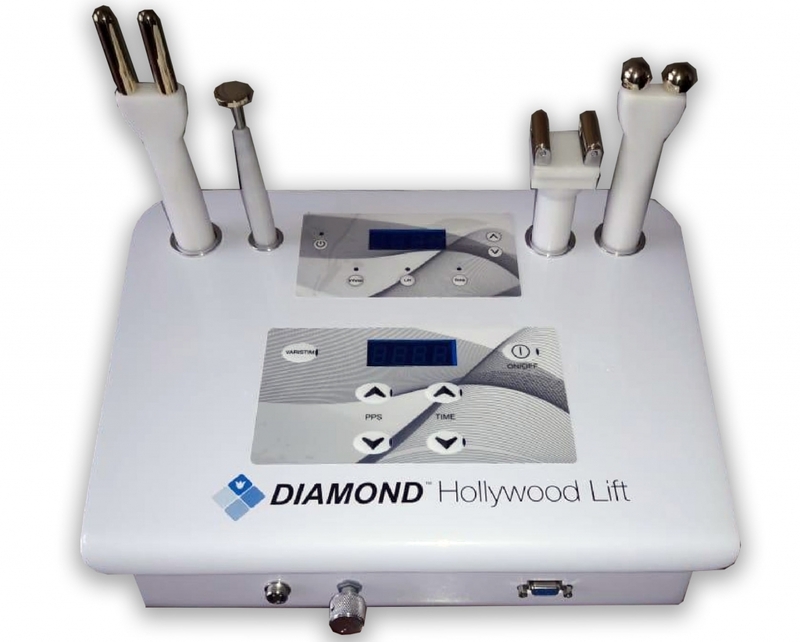 Diamond is THE company that introduced the Diamond Peel Microdermabrasion.